Lives and works in Madrid. This Spanish photographer, studied Art History at the Universidad Complutense in Madrid (1980-1983) at the same time as he was studying photography in the Centro de Enseñanza de la Imagen, also in Madrid. In 1985 he gave his first individual exhibition at the Real Sociedad Fotográfica de Madrid, although in the early 1990s when Chema Madoz suffered a creative crisis, he changed the concept of his photographs. He now uses surrealism as a reference, and is no longer interested in taking photos of what he sees, or the implication of chance in his work, but rather, using defined mental images – conceptually the work is resolved before it is begun – he creates the objects he wishes to photograph. By modifying the simple everyday object, he bestows a poetical sense on it, similar to the process of Joan Brossa with his objectpoems, thus creating unusual images with a force that characterises his creations. 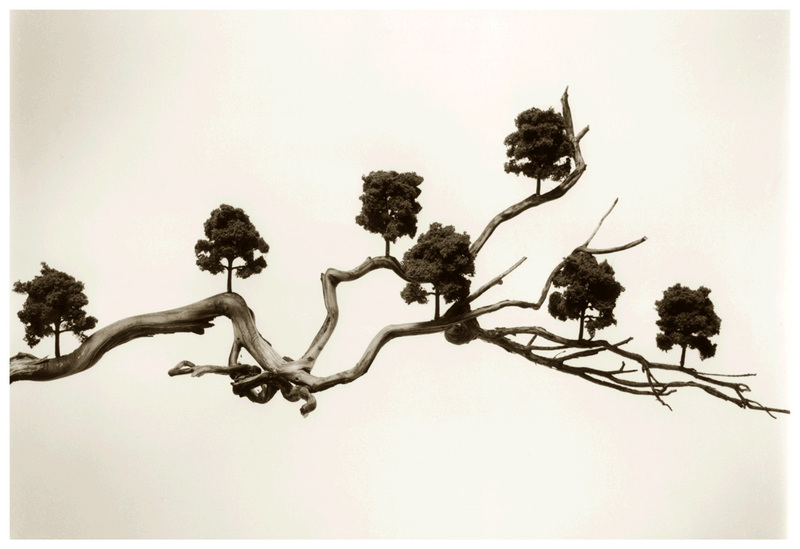 With a long artistic career behind him, Chema Madoz has given a large number of exhibitions. Particularly noteworthy was the one held in the year 2000 in the Museo Nacional Centro de Arte Reina Sofía, Madrid, the first retrospective the museum had dedicated to a living Spanish photographer. Other important exhibitions include those held in the Círculo de Bellas Artes, Madrid (1988), Centro Galego de Arte Contemporánea, Santiago de Compostela (1998), Museo de Bellas Artes, Caracas (2001), Museo de Artes Visuales, Santiago de Chile (2006), Fundación Telefónica / Ministerio de Cultura, Madrid (2006), Museet for Fotokunst, Odense, Denmark (2007) and the Instituto Cervantes in Tokyo (2009). As well as the Premio Nacional de Fotografía (2000) awarded by the Spanish Ministry of Culture, Madoz has won the Premio Kodak España(1991), Premio Photo España (2000), and the Higashikawa Prize, Japan, in the Overseas Photographer Award section (2000), among others. His work is present in important public and private collections such as the Museo Nacional Centro de Arte Reina Sofía, Madrid, Colección Fundación Coca-Cola, Col·lecció Testimoni “la Caixa”, Barcelona, Fundación Juan March, Madrid, Marugame Hirai Museum of Art, Kagawa-ken, Japan, Museum of Fine Arts, Houston, Institut Valencià d’Art Modern, Valencia, Fonds national d’art contemporain de l’État, France.